Hey, we're the user experience team at Opower. Our design challenge: to motivate everyone, everywhere, to use less energy. In other words, we design like the world depends on it. Most people don’t think much about their energy consumption. We apply user-centered design to energy data to transform it into products that are clear, intuitive, and compelling. We’re fundamentally changing people’s relationship with energy. In fact, our users have saved enough energy to replace the Hoover Dam. We may come from different places and ride different bikes, but we're joined by our love of good design. Why are you here?To work with smart, funny, and caring teammates! 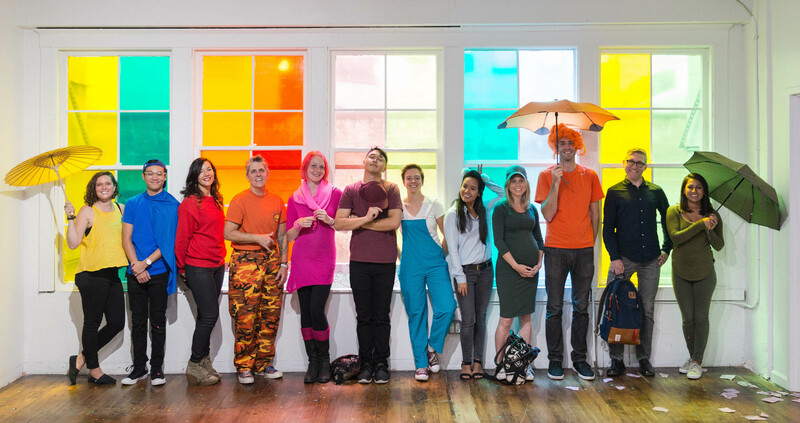 We’re always on the lookout for talented designers with a passion for behavior change. We have internship opportunities too! Check out our open jobs or just say hello. Here’s what some past team members have said about design, code, and behavior change. Opower is not like other software companies. Our goal is to drive measurable energy savings, so we stick to 5 behavioral design principles for delighting and informing energy consumers. At Opower, our focus is different than most product companies: we strive to influence people's daily actions outside of our product. To do this, we’ve become experts in the science of behavior change. We incorporate behavioral science techniques such as normative comparison, social proof, loss language, defaults, and user commitment into our product designs. We must accept the burden of relevance — “boring until proven otherwise.” Studies show that people only spend 9 minutes per year thinking about their energy use, so we're starting at a disadvantage. We respect people's limited time, so we use familiar mental models, clear language, and visual cues to help people quickly process our messages. To achieve measurable energy savings, people must change their behavior. We take the time to understand our users so that our savings tips are actionable and can integrate into their lives. Users should always have a clear next step to take. People receive Opower reports and products from their utility company. It is important to respect that relationship, and help improve it over time. As we learn more about people while they use our products, we adapt to their circumstances by providing appropriate encouragement and rewards. At Opower, we strive to find the right message and deliver it through the appropriate channel to make sure everyone, everywhere, has the information they need to be energy efficient regardless of their age, income, language, energy knowledge, or access to technology. We love colors and coordinated outfits! All fields are required. Come on, there's only three. Thanks for dropping us a line! Someone on the team will follow up soon. Made with love by the Opower UX team. Pictures and words licensed under a Creative Commons Sharealike Noncommercial License.